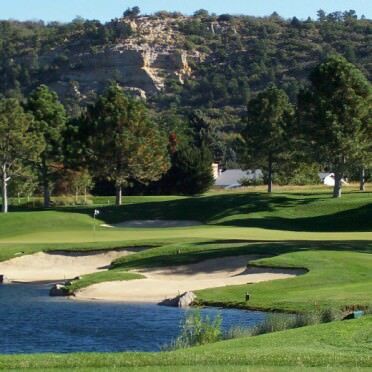 Colorado Springs Country Club is a Private Member Owned Club featuring an 18 hole tree-lined golf course with Pike’s Peak and the Rocky Mountains towering in the distance. The golf course layout maintains the integrity of the Club’s natural setting and is a Certified Audubon Cooperative Sanctuary. In Colorado Springs exit I-25 at Fillmore Street. Go east about 4 miles to Union Boulevard and turn left. Proceed north to Templeton Gap Road and turn right to the entrance of the club on the right.